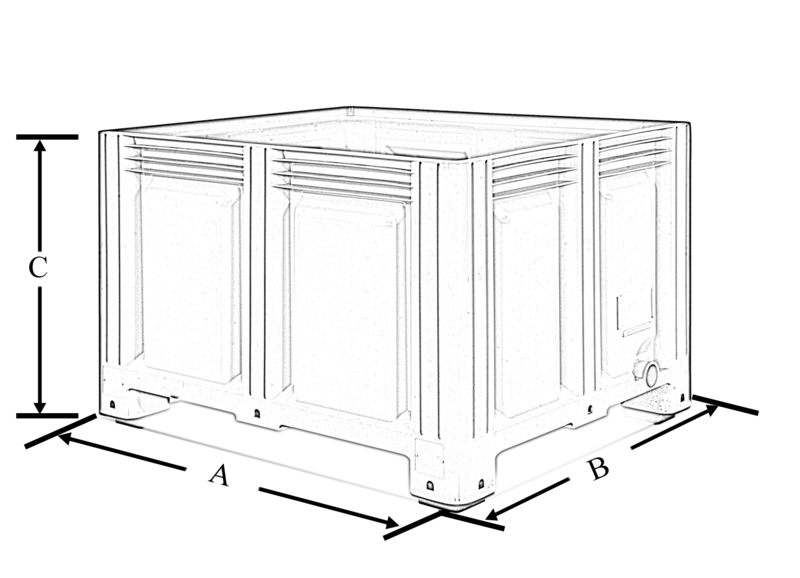 The closed version pallet box is suitable for liquids and resistant to both diluted and concentrated acid and alkaline solutions, due to the high quality raw materials used for their production. 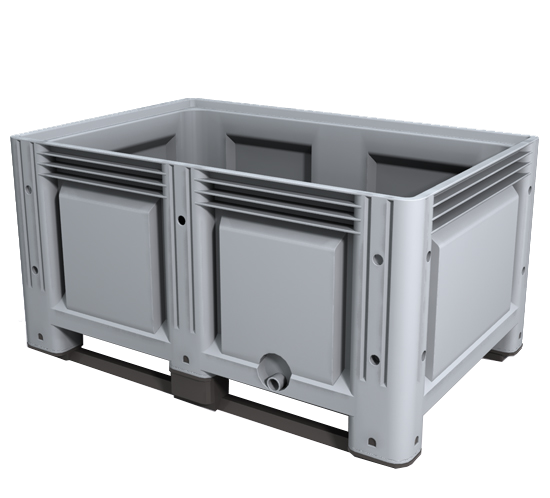 The double walled structure, with corner and centre-sided columns, and the conformation of the bottom, featuring reinforcement ribs, guarantee greater resistance to compression load. 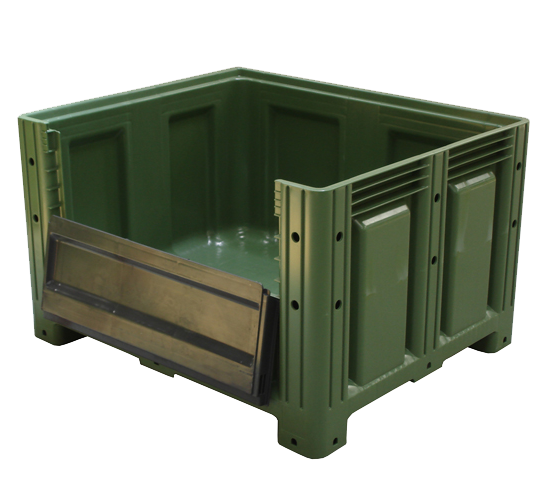 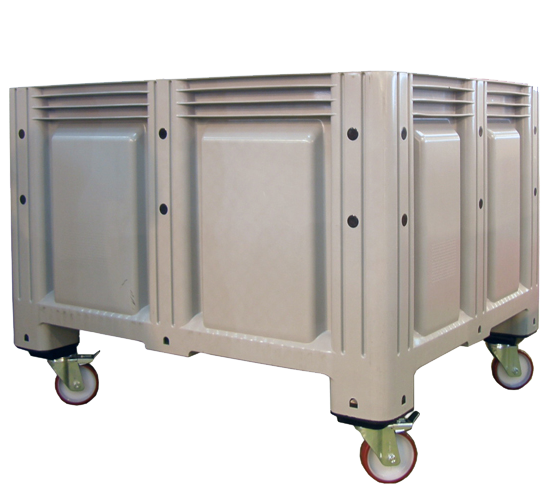 These features render the pallet boxes suitable for heavy loads and storage of bulk and packaged products and liquids. 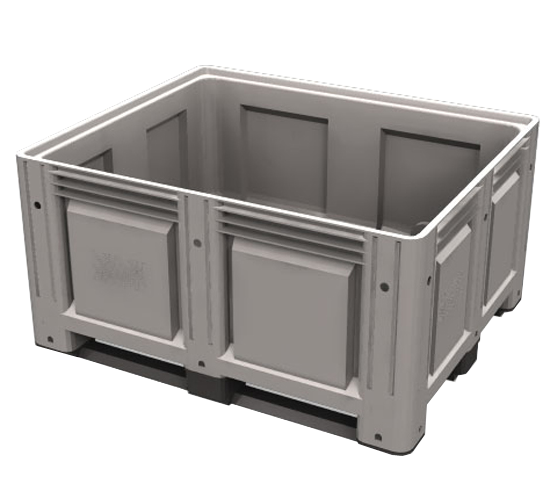 The liquid drainage outlet, fitted in the inner surfaces of the pallet boxes, has 1" or 2" diameter, enabling the easy and hygienic cleaning of the box interior.